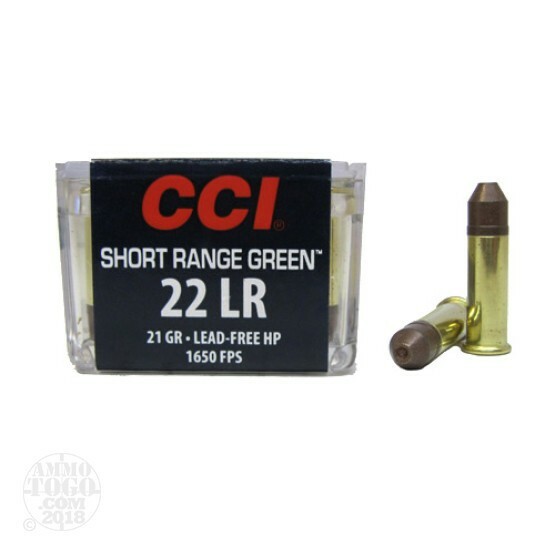 This is .22 Long Rifle CCI Short Range Green 21gr. Hollow Point LEAD FREE Ammo. CCI is known for their quality .22 Long Rifle Ammo. It comes packed in 50rd. recloseable plastic boxes. Muzzle Velocity: 1650 fps.